Just about all weapons are welcome! We regularly have Bow, Rifle, Pistol and Spear hunters. Most rifles are acceptable to hunt with. Remember you only need to take down the hog. You do not need to destroy the whole animal. Calibers that are too large may not be allowed. If you have a question, please call us and we will let you know. Most shotguns used on the ranch are 12 gauge shooting slugs. Black Powder Rifles are allowed. We welcome all bow hunters. 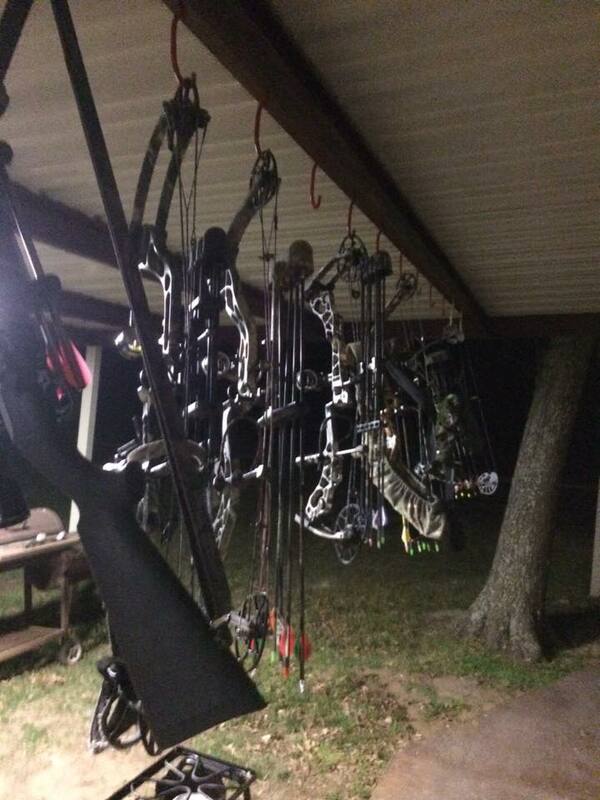 Re-curve, Compound and Crossbow hunters are a common sight on the ranch. Spear Hunting is also an option at the Smith Ranch. We have a spear stand and we have spears to use if you don't have one of your own.